Practically all forms of gambling are legal in Argentina. There are, however, strict laws regulating the actions of gambling operators and players alike. Regulation of most games of chance and games of skill in Argentina falls under provincial jurisdiction (excluding the National Lottery). Gambling operators are required to obtain gambling licenses in all Argentine provinces. Gambling in Buenos Aires; the Argentine capital (granted autonomy in 1994) is particularly controversial. By regulation, it is currently illegal to open casinos or new bingo houses in the city. However, Buenos Aires’ harbor is home to two “floating casinos“, which are permanently moored to the city harbor, and claim legal status on the basis that they are operating on national waters. Despite the gradual acceptance of the casinos, the controversy remains, with a new focus on the taxes on the income generated by the casinos, and whether they should be under federal control or that of the city’s. The legal status of casino gambling in Argentina is rather complex, and a distinction needs to be made between online casino gambling and physical casinos. There is no federal law regulating online casino gambling, which means that provinces are free to create their own laws on whether they allow online casino gambling or not. * There was no regulation of online gambling in place until the 2008 proposition to ban all forms of online gambling. After several protests – and their apparent inability to completely ban online gambling – the Argentine government turned to regulating, and thereby benefiting from online gambling. Despite the new regulation, legal status often remains unclear due to the varying policies of provinces. Officially, an online casino needs to be licensed in every province they offer their services in. However, online casino gambling providers have found several loopholes they can use to work around this prerequisite. As for offshore online casinos: while several are banned, there are some that are accessible to Argentine players, once again as a result of the complicated legal status of online casino gambling. Physical casinos are also regulated on a provincial level. The laws vary regarding the entity that can operate casinos; e.g. in Buenos Aires no private company is allowed to own casinos (with the exception of Casino de Buenos Aires, which operates with a previously issued state license). At the moment, there are more than 150 casinos operating in the country, offering all sorts of table games as well as slot machines. Bingo is legal – and quite popular – in Argentina. Bingo is also regulated on a provincial level, but operators in all provinces are required to obtain some sort of gambling license. At the moment there are 46 land-based Bingo halls in the country, with several of them complementing their revenues by installing slot machines. Online Bingo is legal in the country, though officially players are only allowed to access locally based online Bingo sites. Still, Bingo players accessing foreign online Bingo platforms are not prosecuted. Poker is legal in Argentina, and is offered in most of the country’s casinos, often in several variations. Argentine Poker players may also participate in live Poker tournaments, the largest of which is the PokerStars Latin America Poker Tour. Online poker in Argentina is also quite popular. Foreign online poker sites have been banned by the government since 2008, and internet providers may be punished for neglecting to block foreign online poker platforms. Online Poker players on the other hand are not prosecuted, which means Argentinian players continue to play Poker on such websites. Residents of Argentina may legally access online Poker games hosted within the country. The government has been giving out licenses to online Poker operators since 2002, but there are only a handful licensed websites, which accounts for the popularity of offshore online Poker platforms in Argentina. Sports betting, especially when it comes to football matches, is extremely popular in Argentina. The national lottery is one of the providers of sports betting in the country. Independent land-based sportsbook operators are also prevalent in Argentina. There are also several horse racing venues in Argentina, with the largest being the Palermo Hippodrome situated in Buenos Aires*. The hippodrome operates as a racino, which means casino games are also available. 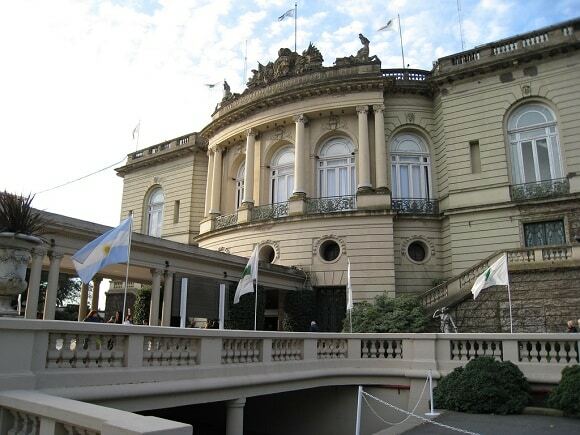 The Palermo Hippodrome, similarly to the Casino de Buenos Aires, is allowed to operate based on a previously issued state license. Online sports betting licenses have been issued since 2006, and as of now there are 15 online sports betting platforms registered with an Argentinian URL (.ar). Although sports betting on foreign websites was banned in 2008, currently neither internet providers, nor players are prosecuted for accessing such sites. Lottery is legal in Argentina, and is regulated by federal law. The Argentine National Lottery offers a wide variety of games, including traditional lotto, Loto 5 and Quiniela. The national lottery is operated by the Lotería Nacional Sociedad del Estado, which was founded in 1944. The National Lottery does not operate an online lottery currently. Residents of Argentina looking to participate in online lottery games may access foreign online lottery platforms, although several such sites have been blocked at the behest of the Argentine government. Bitcoin has a surprisingly large user base in Argentina, most likely as a result of the fluctuating exchange rate of the Argentine national currency, the peso. Bitcoin gambling is not expressly regulated by Argentine law. A lack of Bitcoin casinos hosted in Argentina might pose a problem for Argentine Bitcoin gamblers, as foreign gambling websites may be banned. However, players may not be prosecuted for playing on foreign gambling websites, and currently several Bitcoin casinos are available from Argentina. The following websites accept players from Argentina. The legal status of various forms of gambling and online gambling in Argentina.